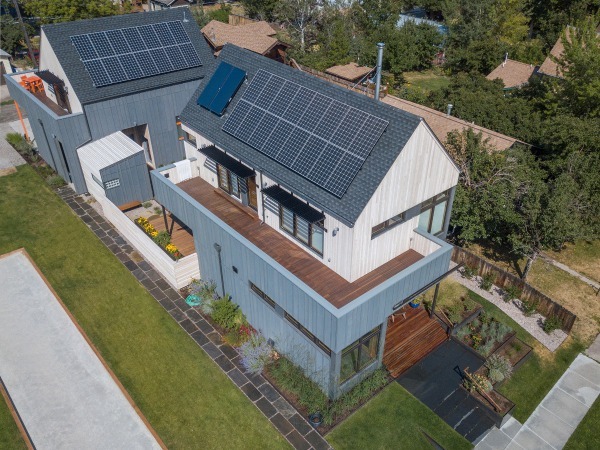 The majority of the solar electric system mounted to the roof of this impressive new home can be seen from Bozeman's Beall Park, but there's more than meets the eye! 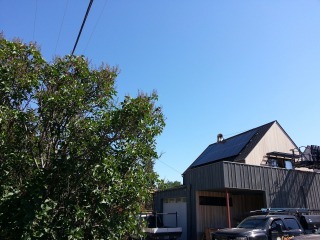 The homeowner took advantage of all of the available roof space by installing 16 panels on the house and 14 panels on either side of the garage roof, totaling 44 panels and 13.64 kWs. Designed to meet more than 100% of the homes energy needs with the potential to add an electric vehicle, the Cochran residence gives the feel of a house of the future, one of self sufficiency with a focus on renewable energy for both home use and transportation. 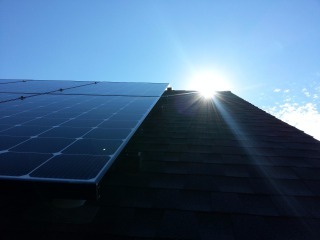 With solar energy being the most viable and cost effective solution for home energy production, more and more new homes are being designed with solar in mind. 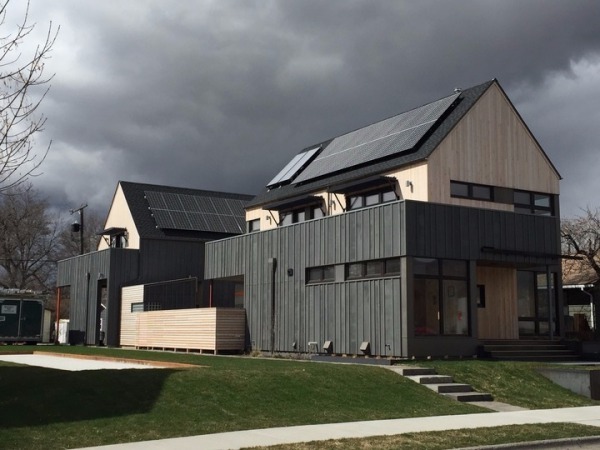 Mitchell Roe Construction is one of Bozeman's premier custom home builders and has always had an emphasis on sustainable building and design, including the integration of solar technologies into their builds. It's always a pleasure working with local builders who take their build quality and efficiency seriously, for Mitchell Roe Construction, sustainability is not just a feather in the cap or a marketing strategy, but a dedicated approach to their construction process.